Pleasanton Police Chief Ronald Sanchez presented Edward Zamarripa of Johnny’s Paint and Body an award of appreciation for his donation of time and expertise to help unlock vehicles at no charge when children are inside. 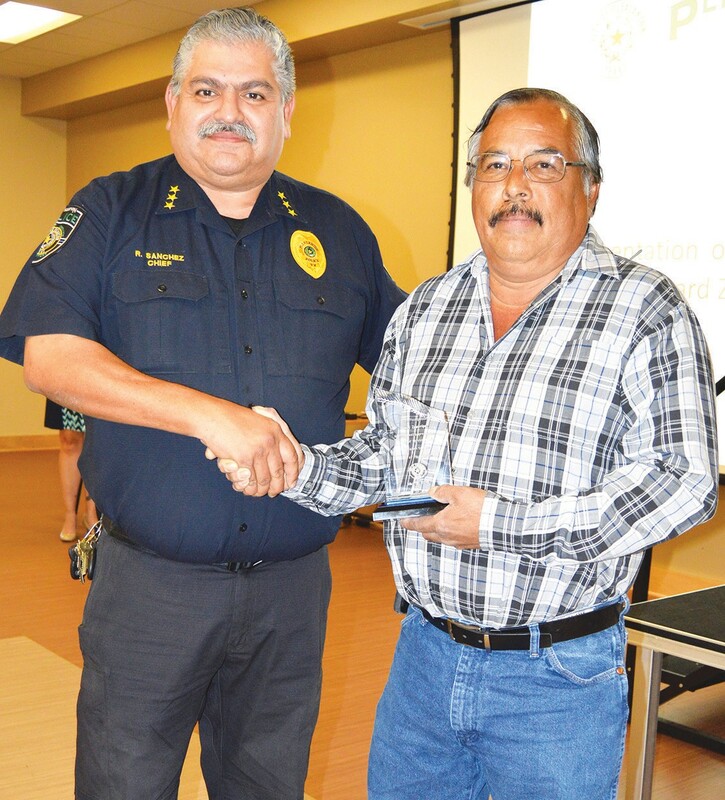 At the beginning of the Pleasanton City Council May 19 meeting, Edward Zamarripa of Johnny’s Paint and Body, was awarded a certificate of appreciation for a citizen going above and beyond their duty. Chief Ronald Sanchez shared with the council and audience of Zamarripa’s assistance when children are accidentally locked in vehicles. Each time he shows up to unlock the door, he never charges for his service. City Manager Bruce Pearson welcomed the former council members and mayors to the meeting who had come to the going away dinner for Councilman Abraham Saenz. Pearson then shared that another offset letter was sent to TxDOT Aviation reference to the fire station and it is in the FAA Washington, DC hands. Hopefully by September 1 the city will be able to go ahead with construction plans and having a construction manager on board. The 2017 budget schedule was delivered to the council and in their packet. The draft budget will be submitted by June 16 by incoming interim city manager Johnny Huizar. Any amendments or recommendations that need to be made by the council will be done then. They will then adjust when the appraisal district releases the new appraisals – should be by July 25 to determine the tax rate. Pearson then explained that messages relayed on the automatic phone system, especially for those who are out in the field, that messages will be returned at 12 -12:30 p.m. and 4-4:30 p.m. Those within the city hall will call back as soon as possible. Two children’s computers have been ordered for the public library and should be in shortly. 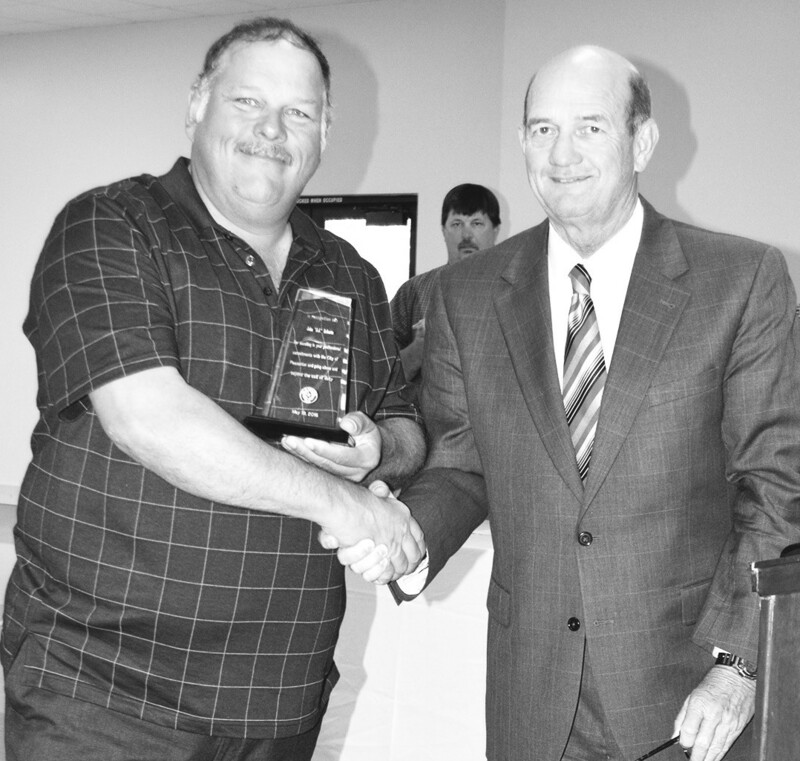 J.J. Roberts was recognized for his efforts concerning a potential problem at the airport. About a month ago, jet trainers from Randolph Air Force Base hit a bird and they usually don’t land due to the length of the airstrip. They had to land and J.J. was concerned and called for assistance with the Fire Chief. He was sent a letter from the Colonel and he received a special plaque from the city for his outstanding efforts. Pearson then shared a letter from the Tumwater, Washington Fire Chief Scott LaVielle after a recent training at the National Fire Academy. He commended Pleasanton Fire Chief Chuck Garris and his participation the learning environment at as recent training session. 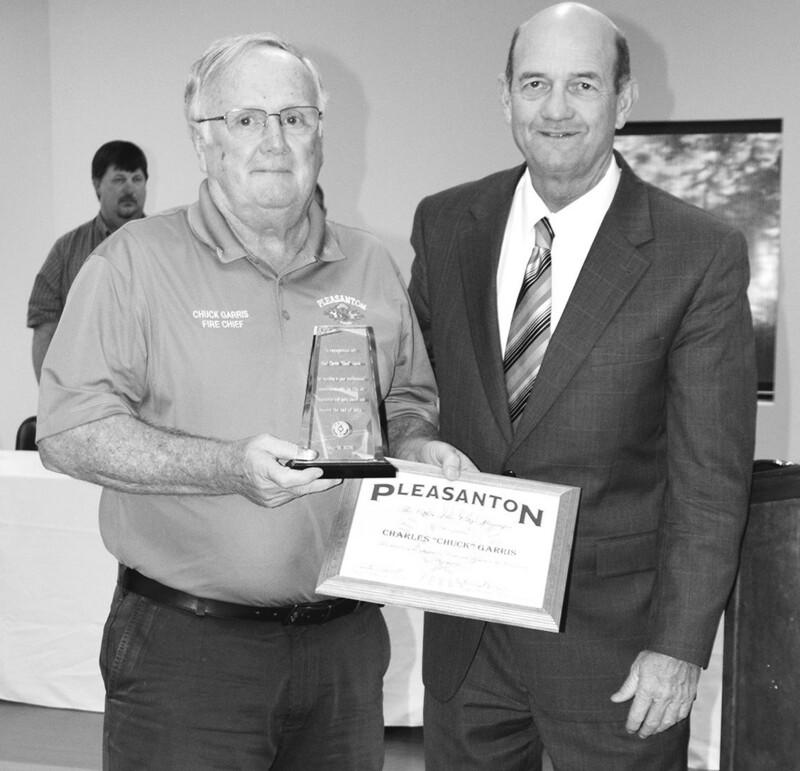 Pearson presented Garris with a plaque of appreciation. Mayor Clint Powell commented that Pearson’s welcoming of the former council and mayor was also part of his message. He also mentioned that the police department is looking for officers. The council then approved the following items on the consent agenda: Minutes of the Regular Session of May 5, 2016; Preliminary Plat for Parita Shorty’s subdivision; a variance to the City of Pleasanton Code of Ordinances Title XV: Land Usage, Chapter 150.01; Section (K) (1) (a) minimum setback requirement for 907 Pleasanton Ave; waiving of all fees and deposits for use of the Pleasanton River Park Pavilion #2 on May 21, 2016 from 8:00 a.m. to 10:00 p.m. by the Pleasanton High School Junior Reserve Officer’s Training Corps. 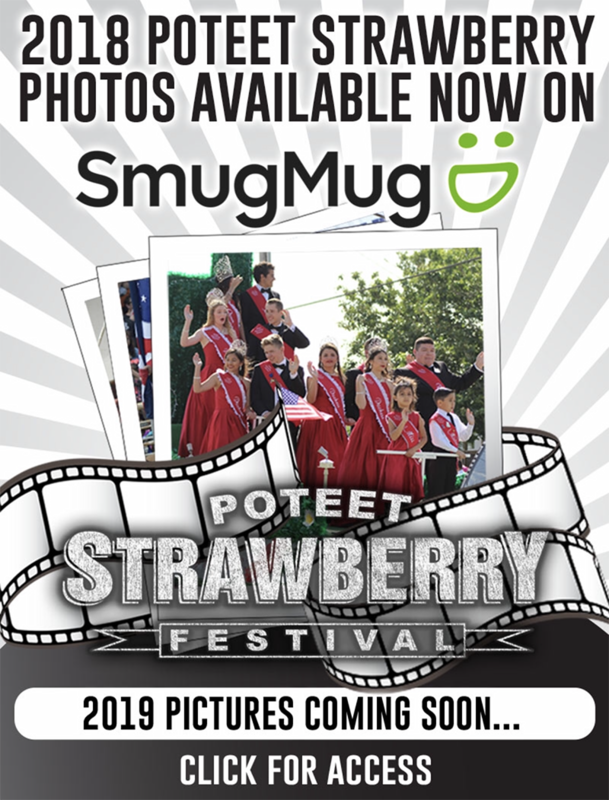 ; the use of asset forfeiture funds for the purchase of a drug incinerator (partial payment from the Sheriff’s Department for $2,000 of the $3,800 fee) for the Police Department; the 2016 Budget. Schedule and to cancel the Regular Session of the City Council on July 7, 2016 and the consulting contract for Bruce Pearson. HydroPro Solutions president and vice president Chris Phillips and Greg Broyles had a presentation on an automatic water meter reading system. The wireless computerized program can be downloaded within an hour. They project that $5.6 million would be saved over the course of 20 years (warranty period as well). That is both labor savings as well as gathering some of the lost water that is going through the old meters now that is not being measured accurately. That is using the standard today, not figuring in inflation. The council voted to direct the city staff to purchase and implement the system in the amount not to exceed $1,877,721.02 with the utility system funds. The system will be installed by the city crews. Judge Elsie Guerra then administered the Oath of Office to appointed City Officials Doug Best (District 1), Kenneth Hernandez (District 2), Diana Prasifka (District 3) and Travis Hall Jr. (District 6). With Hernandez taking his new seat, an appreciation plaque was then given to outgoing Councilman Abraham Saenz Jr. for his 33 years of service. Eliseo Flores nominated Travis Hall Jr. as Mayor Pro Temper and the council voted in agreement. Ordinance No. 16-1174 affecting participation of City employees in the Texas Municipal Retirement System granting the additional rights authorized by Section 854.202(g) of Title 8, Texas Government Code, as amended; and declaring an emergency was adopted by the council. The council then denied Resolution No. 158-16 for AEP Texas Central Company’s application for approval of a distribution cost recovery factor to increase distribution rates within the city. At Councilman Doug Best’s request, the council adopted Resolution No. 159-16 adopting the policies required to make the City of Pleasanton a film friendly community. The council then approved to direct City Staff to enter into the Option and Lease agreement presented by Encino Tower Partners II, LLC. Pleasanton Fire Chief Chuck Garris receives a plaque and certificate from Bruce Pearson for his exemplary participation at the National Fire Academy as noted by the Tumwater, Washington Fire Chief Scott LaVielle. J. J. Roberts received a plaque from City Manager Bruce Pearson for his above and beyond efforts at a situation that occurred at the municipal airport back in April.